What's that you say? Your little one is already showing amazing skills at piloting their toy fighter around the living room by using their hands to steer and making jet noises with their mouths? Well, that's good to hear. The Rebel Alliance is in desperate need of some good pilots. Their pilots kind of have a habit of... disappearing. Especially because the Rebels have a tendency to send out all of their pilots to fight the Empire all the time. That always goes so well for the Rebel pilots. But the fact that your kid is showing promise so early is exciting! Maybe the Rebel Alliance can start recruiting a bit younger! Well, no, of course not that young. That would be silly. We're talking at least five years old. Then they can start training! If you think your child has what it takes to pilot a ship for the Rebel Alliance, you might as well start testing their skills now. You know, just to be sure. You can try putting them in this Toddler X-Wing Fighter Pilot Costume and see how it goes. 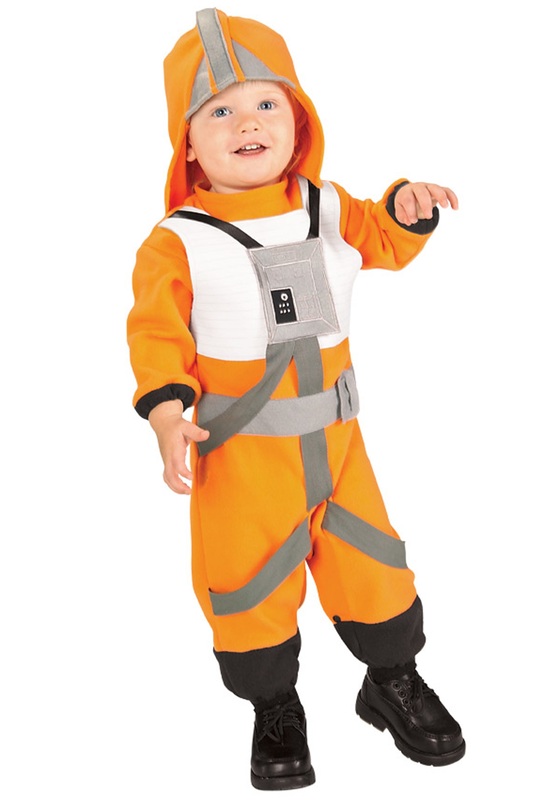 It's an orange romper with a hood, all with details like an actual X-Wing pilot's suit. If you put your kid in this and their reflexes and coordination are immediately enhanced, there's a good chance they're exactly what the Rebel Alliance needs. If they end up sticking their fists in their mouths, falling down, and knocking their toys over... well. We appreciate the interest, but they're not quite the material the Rebel Alliance is looking for. They can keep the jumpsuit though.